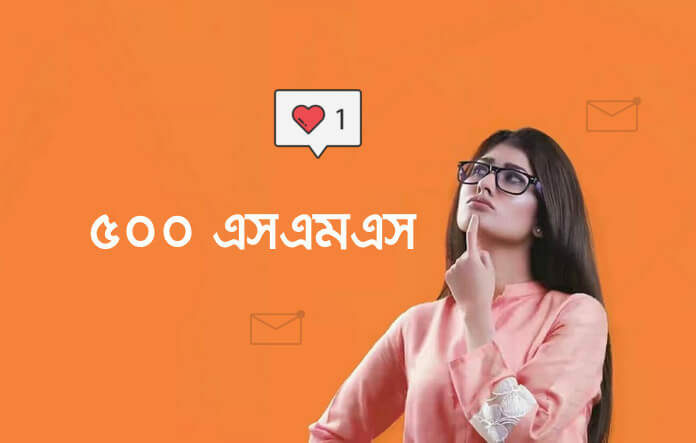 Banglalink 500 SMS 10 Tk Validity 7 Days 2019! Banglalink, the popular mobile operator company of Bangladesh, is offering a great SMS bundle package. Banglalink to Banglalink 500 SMS Pack 2019 can only be 10 taka The validity will be seven days. You can use these SMS bundle package for different festivals such as New Year’s Birthday wishes Eid greetings much more. Any Banglalink subscriber can buy this bundle, please follow our article to buy this SMS pack. We are recently posted Banglalink amazing internet offer. 500 SMS price only 10 Tk. Unlimited time can buy this package. The remaining SMS will be added to buy the next same pack. Why I’m not eligible for Enjoying this offer??? Let me know about it as soon as possible. The offer has been closed. You will get 2 SMS offers by dialing *100*5*5# Thanks for having us. Ami code ta dial korchi….But Reply aslo j ami ei offer tar jonno eligible nah.Kintu keno?? ?